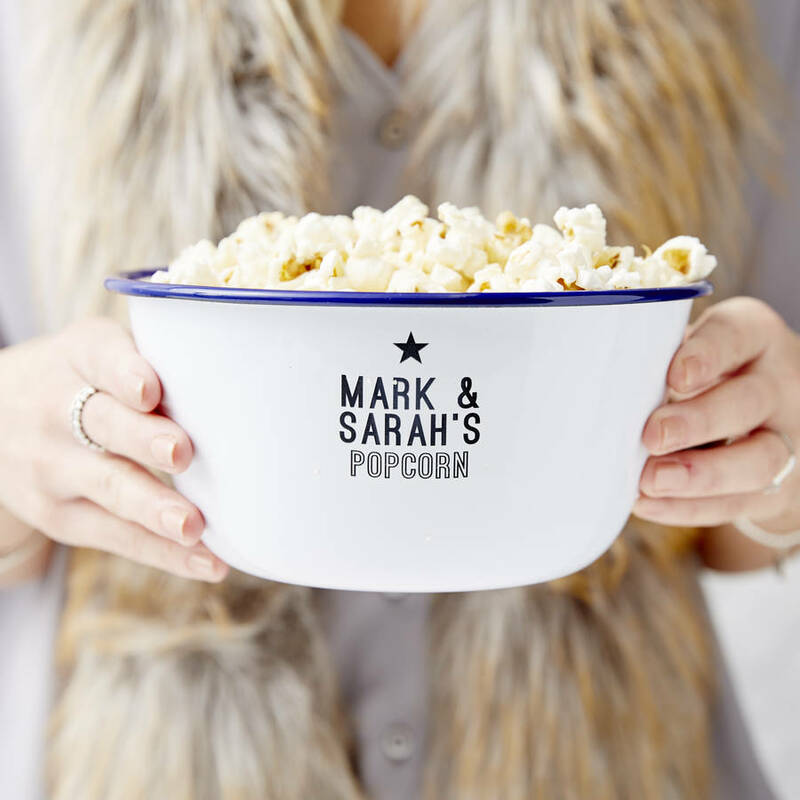 A delightful personalised enamel bowl, the perfect way to serve your popcorn on a cosy evening in or date night. Our personalised enamel bowls are a must have addition to any household. A great way to serve any sharing foods, personalised with your chosen wording! A lovely present for any newly enagaged couples or newly weds! A lovely thoughtful, personalised gift! A great way to enjoy a snack together on date night. 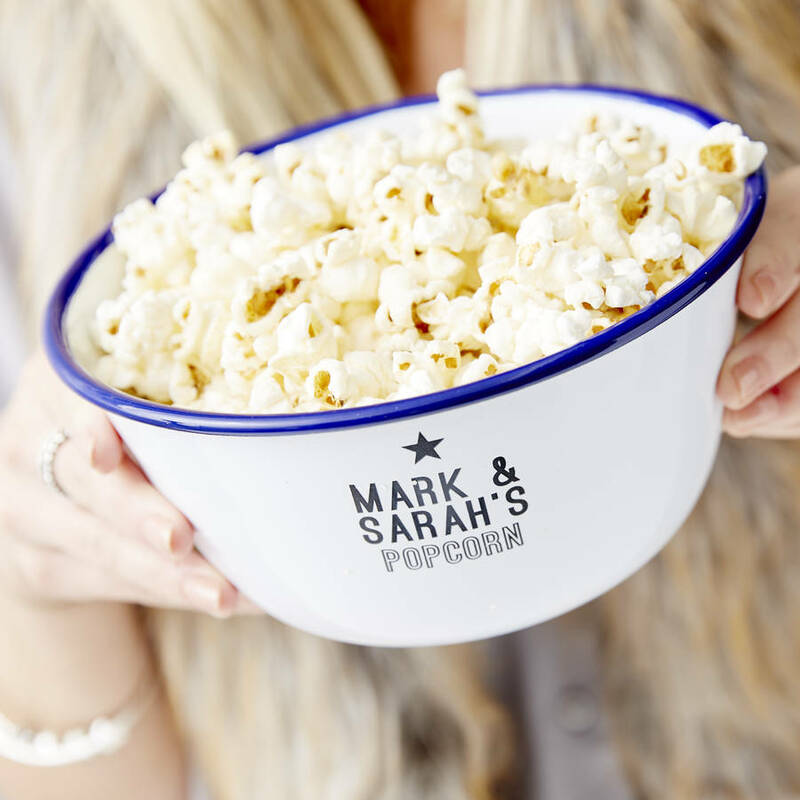 Our fabulous personalised enamel bowls are crafted from steel and coated in crisp, bright white enamel paint. Each bowl is then hand finished with distinctive blue paint around the rim. Each personalised bowl is therefore totally individual in it's finish - we love this unique charm. To personalise your enamel bowl simply enter your chosen details into the personalisation box provided. Our in house design team will transform your personalisation into the design.